En el corazón del municipio malagueño de San Pedro de Alcántara encontrarás la Trattoria L'Importa. 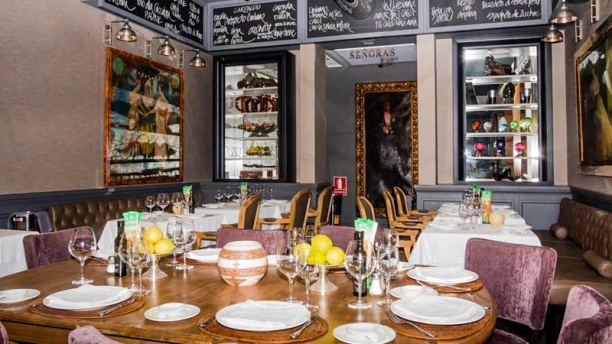 Con productos excelentes importados desde Italia, este restaurante te ofrece lo mejor de la cocina italiana e internacional. Su carta te acerca a sus recetas tradicionales y a sus platos más emblemáticos. Degusta pasta fresca tradicional, carnes selectas, pescados frescos y postres caseros. Una gran cocina para disfrutar con todos los sentidos. Excellent meal- delicious food and very good service! We will return !! We have used this restaurant on several occasions. An extensive & interesting menu. Sophisticated atmosphere. Polite courteous and efficient service. Rrcommended! We love the ambiance of the restaurant, the food, the service and the music. We come here at least once every time we are in Marbella. Simply wonderful. Grand Marnier soufflé to die for. Excellent food, wel prepared and sizable portions. Great service, food, and staff. The Head waiter was brilliant, welcoming, good English, good options and knowledge. The remainder lacked English but tried their best to help. This is our second time in a week, we love it. Very good,we will go again.